House of Pikachu. Yuy speaking. Took it, thanks a lot for these !!! Will credit, of course !! Taking these, thanks so much! 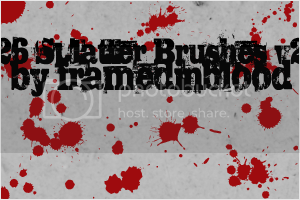 I love splatter brushes and these look really good! looks great! downloaded, will credit when used, thanks so much. Thanks. I snagged them. I will credit. taking & will credit. thanks for sharing. great brushes! Taking and will credit.